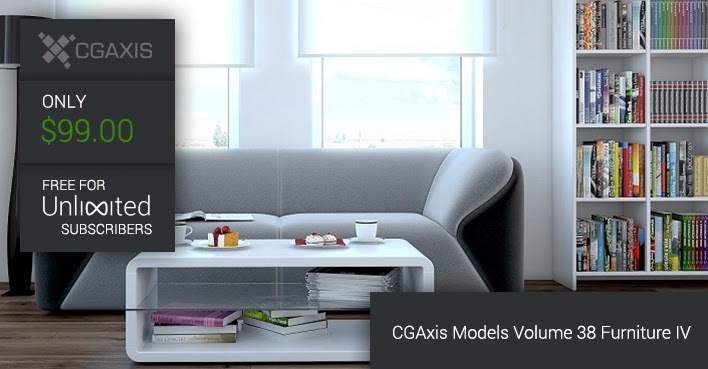 CGAxis has unveiled its new 3d Model Collection Volume 38 Furniture IV. This collection contains 35 highly detailed 3D models of interior furniture. You can find in it: hocker charis, leather chairs, tables, sofas and others. Great for your interior visualization projects. Models are mapped and have materials and textures. Compatible with 3ds max 2010 or higher and many others.